The Next-Lab project co-organised the 25th Science Projects Workshop (SPW25) together with the Europeana DSI-4 project. 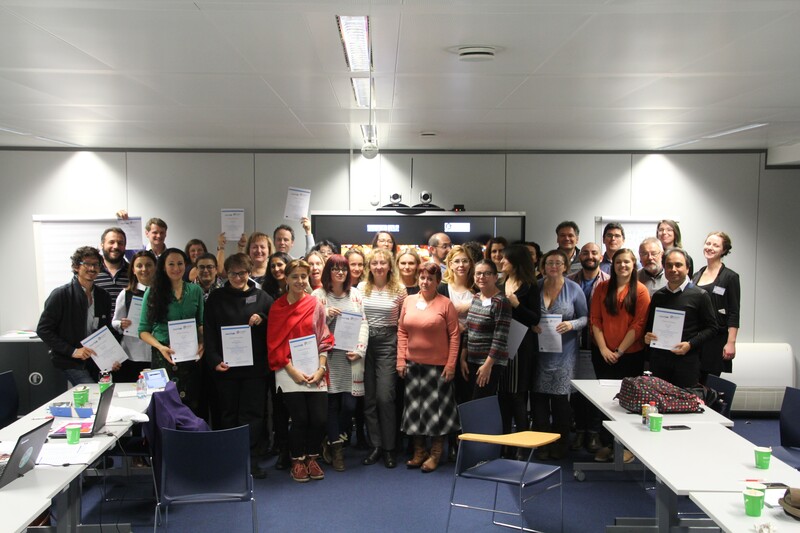 19 Next-Lab Ambassadors participated in this two-day workshop at the European Schoolnet’s offices in Brussels on Friday, November 30 and Saturday, December 1, 2018. The Next-Lab teachers focused on the use of Next-Lab scenarios, Go-Lab implementations in the classroom and presentations of case studies. Click here for a short introduction to Next-Lab. The workshops included a remarkable presentation developed by Swiss Go-Lab ambassador Philippe Kobel: “The Go-Lab cheat sheet ” which includes a guide to the Go-Lab Ecosystem and all Go-Lab and Graasp features in 20 minutes. Check out our unforgettable Twitter moments!